Dr David Manning has an Honours degree in Soil Science / Quaternary Studies and a Ph.D. in Geology studying volcanic deposits in New Zealand. He has over five-years’ experience studying Queensland’s soil/landscape/geology/vegetation relationships, including groundwater and salinity issues. 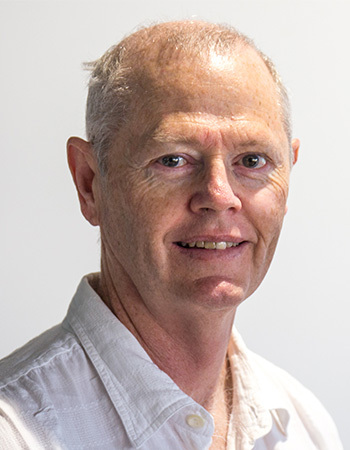 David also has 15 years’ experience working to improve the environment of SEQ, reviewing research to identify knowledge gaps and prioritising areas where on-ground interventions would have the greatest impact on the health of SEQ’s environment and the ecosystem services it provides. In his role as Senior Scientist at Healthy Land and Water working within the Science, Innovation and Monitoring team, David prepares program-wide Monitoring, Evaluation, Reporting and Improvement (MERI) plans, and reviews the reporting of multiple on-ground projects, collating information from multiple sources to answer the Key Evaluation Questions in the MERI plans. He also delivers to funders written reports and spatial information regarding on-ground activities undertaken, outlining progress against the desired outcomes and milestone targets of the funding agreements.